According to a recent news feature from Business Insurance, the United States Food and Drug Administration (FDA), has just voted to approve medical implant device designed to help patients fight addiction to opioids. This implant, which was designed by two drugmakers working on a joint project, is implanted during a surgical procedure under the skin of the patient’s arm. A subdural implant in a patient’s arm is nothing new, as there are even forms of birth control that use this delivery method. However, this anti-addiction implant is designed to release a specified dose of a medicine called buprenorphine for a sixth-month period. This form of buprenorphine, known probuphine, is on the United States Controlled Substances Act of 1970 as a Class III controlled substance. The drug has been used in more traditional forms of delivery, such as through oral tablets, for years to help people stop taking opioid medications such pain killers and even the street drug heroin without suffering from the harsh effects of withdrawal. Contrary to what we see on TV, a person does not have be locked in a room for a week so they can painfully get through the withdrawal period. However, doctors do not want people to become addicted to buprenorphine like they have with methadone. 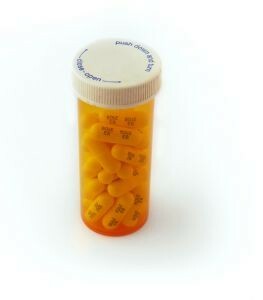 Unfortunately, people have become addicted to buprenorphine, which is more commonly know as Suboxone or Subutex, and this implant is seen as a way to control the dosage. The developers realize this is not a perfect solution and would not be needed in a perfect world, but they see this is an imperfect solution for an imperfect world. The fact that this may become a long-term treatment option where a new buprenorphine rod is implanted every six months has workers’ compensation insurance carriers worried. They are not worried about the overall health of the injured workers, but rather the cost of implanting a new rod twice a year. They are also worried that doctors will not be adequately trained to implant the rod without causing complications and have even stated that they are concerned because buprenorphine costs more over time than traditional painkillers such as Percocet. This demonstrates a sad reality that our Boston workers’ compensation attorneys have seen all too often – workers’ compensation insurance carriers are generally far more concerned about making a profit and protecting their balance sheets than they are about the health and wellbeing of a worker who is injured on the job. In other words, they would rather have people addicted to powerful narcotics than pay for a drug designed to treat addiction that does not have all of the side effects of opioid medication. In addition to the obvious issues with being on a narcotic pain medication, studies have shown that long-term use of narcotics can lead to serious health consequences, including liver damage, as well serious mental health issues. It should be noted that the FDA did not unanimously approve the new implant, as the vote was 12 to 5 in favor.